Known for his dramatic landscapes which have become a Drummond specialty, follow his work from the links below. David Drummond has made a name for himself as one of the Southwest’s most recognised watercolorists. He’s a realist who’s in love with the West. “Painting the western landscape is a compulsion for me. I don’t think I could ever stop,” states Drummond. David’s entire life has been about challenge and perfection. Drummond was raised in Pennsylvania where he studied art with Charlotte Wilson. 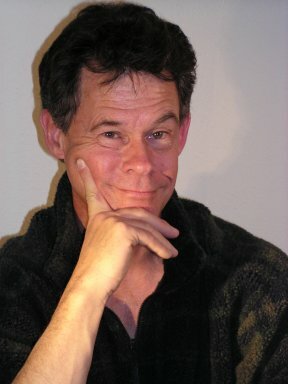 He felt cramped in the East, however and moved to Colorado for his graduate studies; after receiving his doctorate in physics, Drummond went to work for the Air Force in Albuquerque as a laser optics specialist. A continuing passion for watercolours prompted Drummond to leave civilian employment with the Air Force in 1986 and paint full time. That same year he was elected to signature membership in the American Watercolour Society , and the following year into Watercolour West. Today, after more than 40 years in watercolours, Drummond confidently states that his best is yet to come. During the past 14 years, Drummond has had 14 paintings included in the National Arts for the Parks top 100, eight in the Second 100 show, and has exhibited every year since the inception of the Mini 100. He has exhibited in numerous national juried shows including the American Watercolour Society Annual Exhibition, Watercolour West, Georgia Watercolour Society National Exhibit, Rocky Mountain National, and the San Diego International Exhibition. Drummond’s Art’s For the Parks pieces have been made into posters, calendars and postcards, and featured in a special “Arts From the Parks” book. 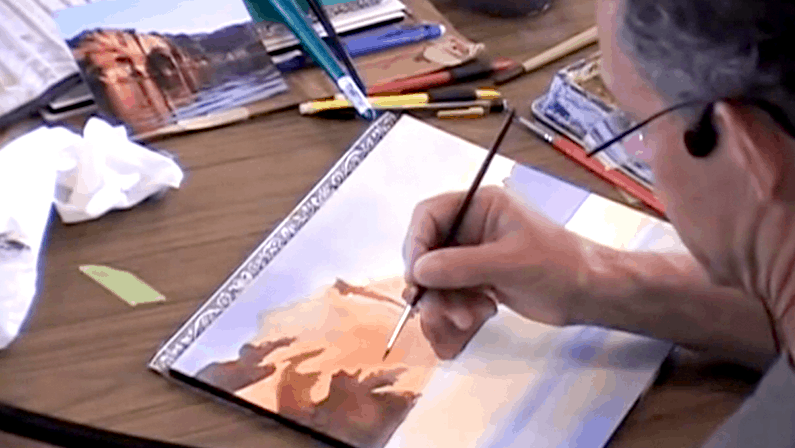 David offers watercolour workshops at his Drummond Art Studio & Gallery, Albuquerque, NM. Further details of David’s watercolour workshops can be found on his website here.